Document Type view allows user to define types of transaction documents and assign different document numbering schemes for each type, that will be used in the application. 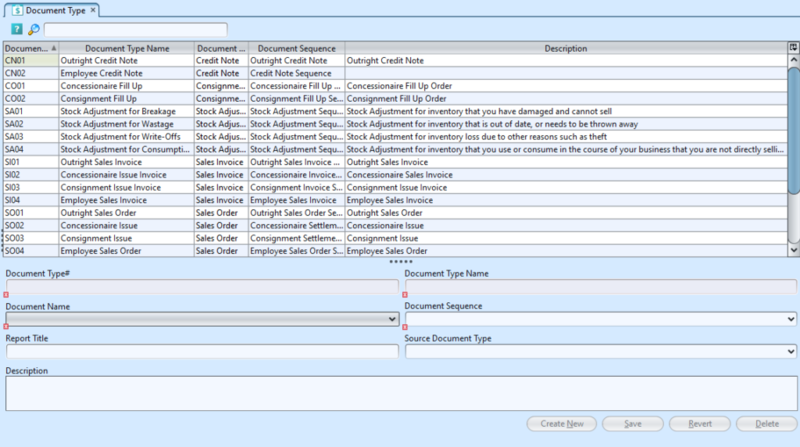 For purpose of Audit the running number can be retrieved easily for the different types of transaction documents. 2. Fill up the information at bottom half of screen. 3. Click on “Save” button to save the changes.